The legendary All Black lock was a physically tough and uncompromising player. Rugby writer Lindsay Knight described him as New Zealand’s equivalent of Australia’s Sir Donald Bradman or American Babe Ruth as a sporting legend. Between 1957 and 1971 Meads played 133 matches for the All Blacks, including 55 tests (four as captain), earning a reputation as one of the greatest-ever players. Meads was a backblocks farmer who remained loyal to his small rural provincial union, King Country, as both a player and an administrator. In the age of professional rugby Meads was widely seen as a champion of the game’s traditional values. After hanging up his boots Meads turned to administration and coaching. He became chairman of the King Country union and then a national selector in 1986. He was axed from the latter position that year when he coached the Cavaliers team on an unauthorised tour of South Africa. After a spell on the outer, Meads was welcomed back into the fold in 1992, when he was elected to the New Zealand Rugby Union’s council. He managed the All Blacks at the 1995 World Cup in South Africa. In 1999 Meads was named New Zealand’s Player of the Century by New Zealand Rugby Monthly. He has been inducted into the International Hall of Fame and the New Zealand Sports Hall of Fame. His significance to wider New Zealand society was confirmed in 2001 when he was made a Distinguished Companion of the New Zealand Order of Merit. In 2009 he accepted the equivalent honour, a knighthood, and became Sir Colin Meads. He died of pancreatic cancer on 20 August 2017, two months after unveiling a larger-than-life statue of himself in Te Kuiti. 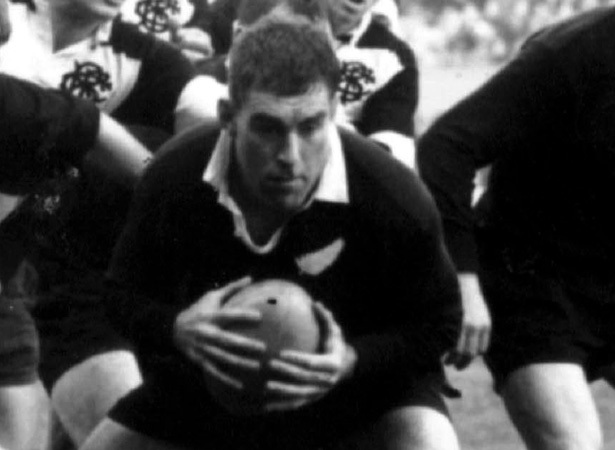 We have 13 biographies, 6 articles, related to Colin 'Pinetree' Meads born.